The Japan National Tourism Organization (JNTO) will be back to OTDYKH 2018 Leisure, this year as the partner country, exclusive form of partnership in the fair. The Japan exposition will incorporate the slogan of its global-scale, multilingual campaign entitled “Enjoy my Japan.” Launched this year, the campaign seeks to entice long-haul travelers to visit Japan and explore the country beyond the well-known popular attractions and immerse themselves in the rich depths of Japanese nature and culture that exist off the beaten tourist path. The Japan National Tourism Organization stand will have 70 square meters, with exclusive design that will show to visitors the Japanese offer to tourists, with a comprehensive entertaining program including cooking corner with traditional Japanese foods. The JNTO new campaign is a major addition to efforts by both public and private sectors in Japan to attract more visitors from overseas. Since 2000, the number of travelers from abroad has soared by 500 percent, from 4.76 million to an estimated 28.7 million in 2017. “Enjoy my Japan” has been targeted especially for travelers from Europe, North America and Australia. OTDYKH Leisure 2018 will be a perfect frame for these efforts. 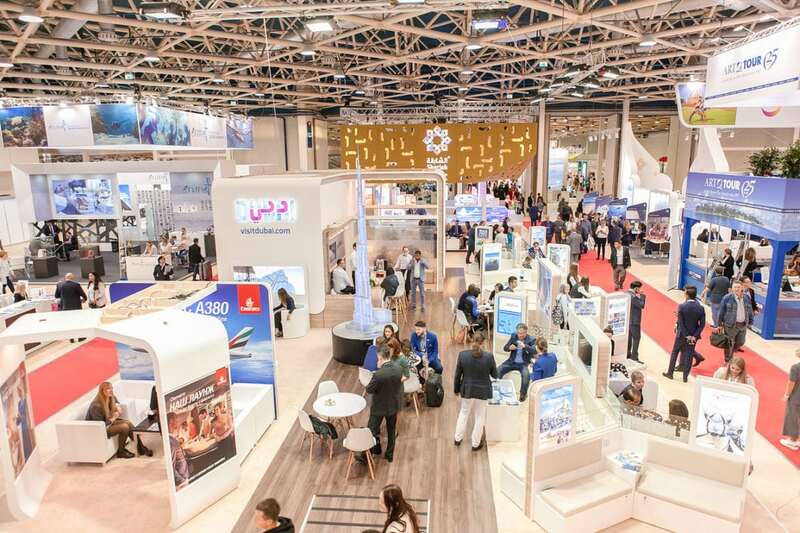 Since 2017 the exhibition is held in a new format, its extensive business program has grown and reflects the current development trends of the tourism industry. This concept combines Exhibition and International Tourism Forum, an open and dynamic platform for government officials, regional authorities and businesses. A cornerstone of the JNTO campaign is the message that Japan has something for everyone, and that whatever it is a long-haul traveler goes to an overseas destination for, Japan is ready, willing, and waiting to fulfill their passions. In addition to satisfying visitors from abroad with the familiar, iconic sites and things to see and do the country has long been known for, there is also a desire to foster a richer and more personal experience by making lesser-known places and activities more accessible, especially to entire families and those with an adventurous spirit. In constructing and honing the focus of the campaign, avid travelers were surveyed to identify the things they find most alluring when choosing a destination abroad. Survey results revealed a series of commonly recurring “passion points” that make up a satisfying trip. In turn, these were categorized and compiled into a list of locations and experiences designed to fulfill a traveler’s passions—cuisine, tradition, nature, city, relaxation, art, outdoor—and a series of brief video clips, available for viewing at EnjoymyJapan.jp, were produced to bring them all to life. For this objectives, the Expocentre fairgrounds offers fully equipped exhibition pavilions with modern infrastructure and facilities, multifunctional halls for conventions, press conferences, meetings and seminars. This extensive, multifaceted promotion involves a broad variety of initiatives, including the launch of a website enjoymyjapan.jp featuring video clips that show a broad range of activities and scenes not typically associated with Japan, strategically targeted digital advertisements, and television commercials to be aired in multiple markets. Website visitors also have the option of crafting their own “virtual tour” of Japan by answering a few quick questions about their interests, which then serves up a “personalized movie” with scenes that show the types of sites and experiences on offer from one end of Japan to the other. “One’s personal engagement with Japan starts at the website,” said JNTO former president Ryoichi Matsuyama. “It continues with enriching experiences like summer and winter adventure sports, spring and autumn mountain treks and steam train rides, and seaside cycling excursions. Any time of year, Japan offers fine dining and mouthwatering street fare, vibrant night life in safe and spectacular cities, virtually unlimited shopping and entertainment options, exposure to ancient traditions that still exist side-by-side with emerging pop cultural trends, and physical and spiritual rejuvenation at remote hot springs, spas, and Zen Buddhist retreats,” he said. Japan National Tourism Organization (JNTO), an independent agency of the Japanese government, promotes Japan as a leisure and business destination to further exchanges between Japan and the world. JNTO disseminates information, conducts publicity and exhibitions, develops tours, carries out research and much more, with its international network of 20 offices. EUROEXPO was founded in 1992 and today is the largest private exhibition organization in Russia. Member of the Russian Union of Exhibitions and Fairs, the Moscow Chamber of Industry and Commerce (ICCA) and the Global Association of the Exhibition Industry (UFI). EUROEXPO Exhibitions & Congress Development GmbH with office in Vienna, Austria, is responsible for international relations and sales & marketing of the exhibitions and conferences. Every year, EUROEXPO Moscow and EUROEXPO Vienna are jointly responsible for the organization of 11 international trade fairs.